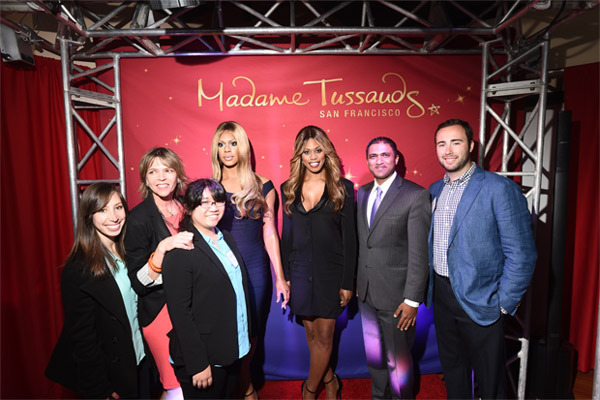 Spritz was excited to support Madame Tussauds’ sponsorship of San Francisco Pride and manage PR for the launch of the first ever transgender wax figure of Laverne Cox, Emmy-nominated actress and star of Netflix hit series Orange is the New Black! The standing-room-only Pride press conference, hosted by Madame Tussauds, had an electric atmosphere buoyed by the momentum of the SCOTUS decision on gay marriage earlier that morning. The conference ended with a bang when Laverne Cox made a surprise appearance with a side by side reveal of her wax figure. The launch attracted national and international media coverage from KTVU to the John Oliver Show. Check out the official press release here!